May 10th is National Shrimp Day – yeah! Shrimp are one of my favorite foods. I love them almost any way they are cooked. What is a shrimp? Shrimp are shellfish that live in salt and fresh water and range in size from that of an insect to about 12 inches long. The larger shrimp mostly come from warmer waters and the smaller variety from colder waters. Shrimp are also referred to as Prawns – usually in the larger size. The name will vary from country to country. In Britain, shrimp is usually used to refer to the smaller size and prawns to the larger size. In the US, shrimp is the term most frequently used. In France, Crevette is the name frequently given to shrimp. Shrimp can be prepared in any number of given ways. They may be boiled or broiled, grilled or steamed, curried or fried. 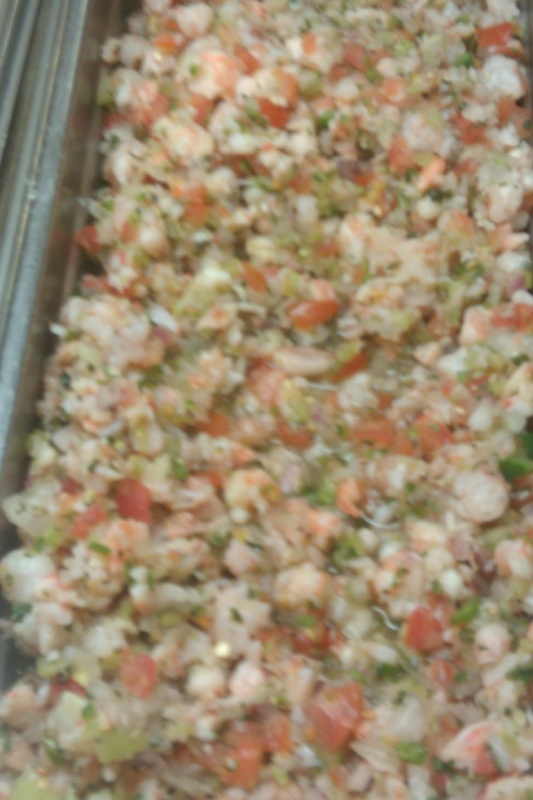 Shrimp are used in salads, cocktails, sandwiches, tacos, sauces and chowders. No matter which way they are cooked, they are usually good. 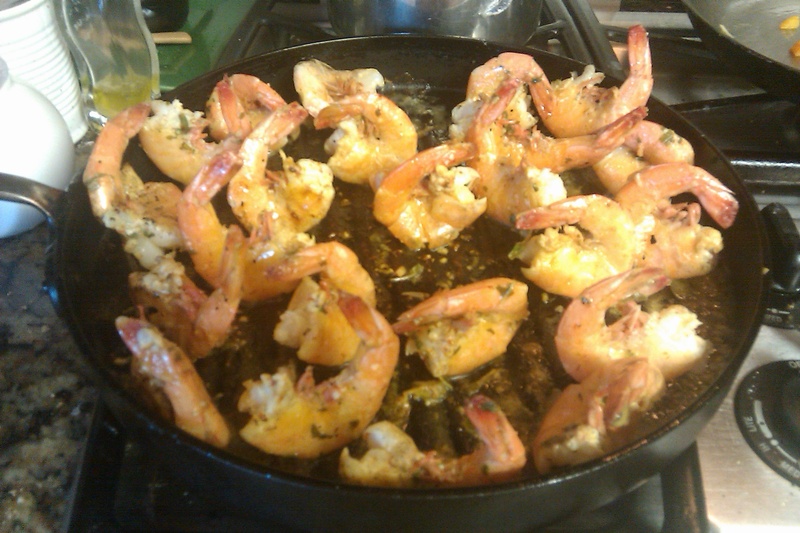 Since Shrimp cook up very quickly, one has to be careful not to overcook them as they will become tough. The rule of thumb is usually about 3 minutes or in the case of boiling, when they turn pink. 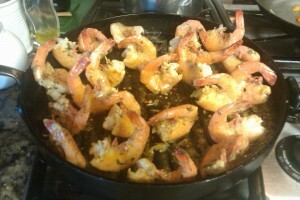 Of course, size has a lot to do with it, with the smaller shrimp cooking up more quickly than the larger ones. Shrimp can be purchased green (raw) or cooked and shelled. Shrimp contain a vein that runs down their backs which should be removed before being consumed. The cooked variety almost always has had the vein removed. Some of the green ones will also have had the vein removed, but you need to check them to be sure. 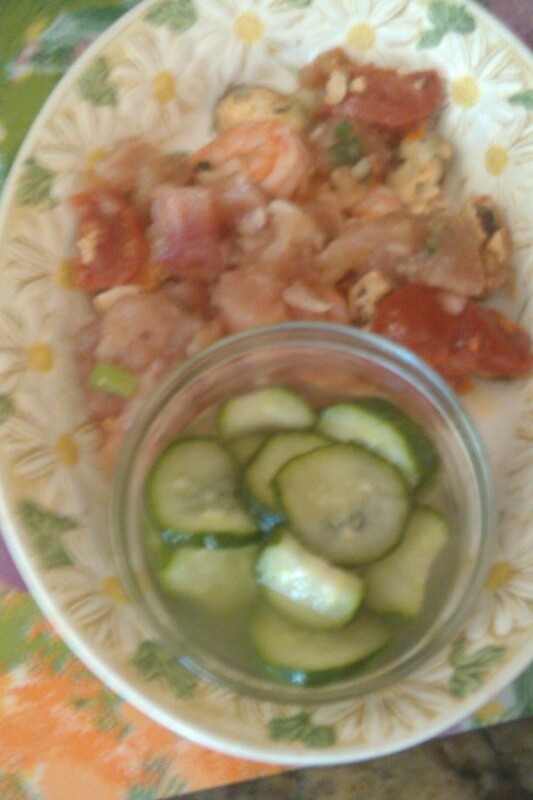 Salads – cook in the same way as for cocktails – use in your favorite salad or with other shellfish. Grilled – devein the Shrimp but leave the shells on – to do this, slit the back of the shrimp with a small pair of kitchen shears or a paring knife. When you slit them, cut them about ¾ of the way through or Butterfly them. Wash out the vein under cold running water. 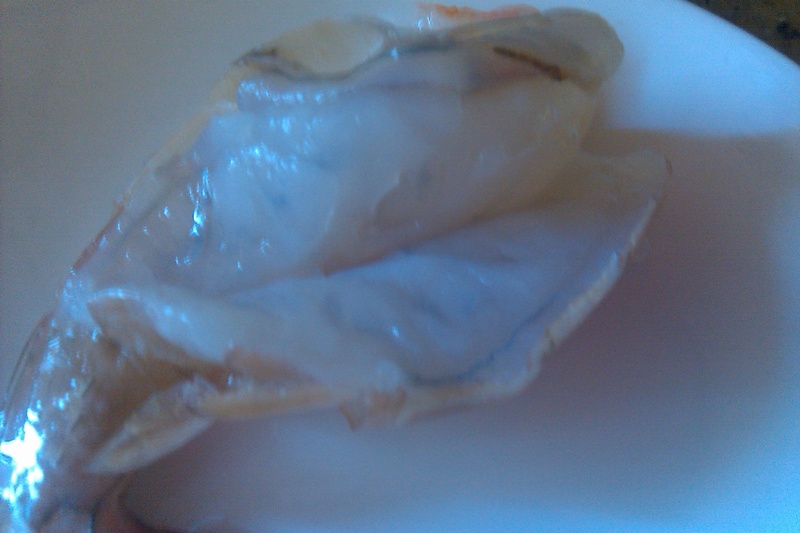 Pat the shrimp dry and place in a large shallow dish such as a pie plate. (Either glass or ceramic – not metal as it will react with the marinade) Blend together crushed garlic, lemon juice or white wine, minced basil, a pinch of saffron or paprika and some olive oil. 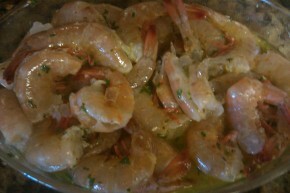 Pour over the shrimp and allow to marinate for 20 minutes but no longer than 30! 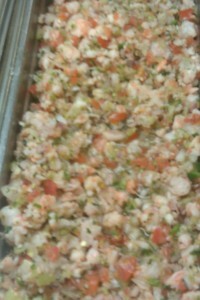 Too long a marinating time will make the shrimp become mealy. Good tasting shrimp should have a firm texture but not mealy or tough. Heat a stove top grill over high heat (or use your BBQ). Cook the shrimp, turning frequently for 3-5 minutes or until the meat is no longer translucent. I usually cook them on each side for about a minute or until the shrimp turns pink then turn them cut side down to cook the inside for another minute. Serve immediately with Cocktail Sauce or Rémoulade or BBQ Sauce. Fried – Shell and devein the shrimp; pat dry and then coat with a light tempura batter – fry in hot oil (350 – 360 degrees) until golden brown. Drain on a wire rack set over a cookie sheet. Serve with Cocktail Sauce or Wasabi Mayonnaise. Curries – the type of Curry depends on the country it is from. Numerous recipes can be found in cookbooks or on the internet. Two of the countries that use curries are India and Thailand. The ingredients and flavors of the curries will vary from country to country and even fro household to household. You really don’t need an excuse to eat Shrimp, but National Shrimp Day is certainly a good reason to. Be careful when you purchase your shrimp. If you want wild caught, but sure that the package label says so, or if you purchase them loose at your market’s seafood counter, read the tag first to be sure where you shrimp are coming from. Most all shrimp are sold in the frozen state. If the shrimp in your market look thawed, be sure to ask how long they have been thawed for. It is better to purchase frozen ones and just thaw them out yourself under cold running water. This can usually be done in minutes. 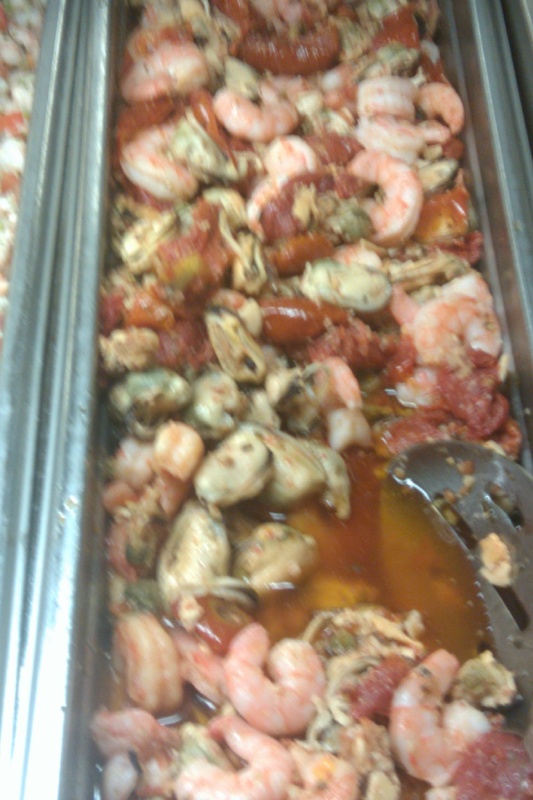 Whichever way you prepare or eat your shrimp enjoy!